World markets awaited the outcome of this week’s Fed monetary policy meeting for a signal on interest rates. Analysts digested the words of Fed chair Janet Yellen who suggested that the markets should focus less on the timing of an initial rise from the zero per cent that has been held today, and more on the pace of increases. Experts now believe there is likely to be a rate rise before the end of this year but that incremental increases will be small and at a fairly slow pace. 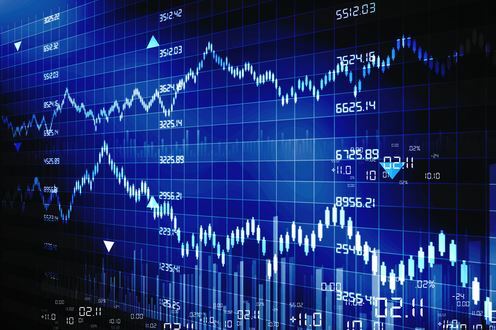 Elsewhere Asian markets closed lower before the Fed announcement while Europe closed lower following the Fed’s announcement and a warning from the Greece’s central bank that the country could be on a “painful course” for an exit from the Eurozone and the EU if debt talks are not fruitful. Thomas Mulcair is leading the opinion polls after unveiling his National Democratic Party’s economic plan. While many are unconvinced that the party, with no federal government experience, would be able to manage the economy; the party’s promise of more help for middle class voters and the manufacturing sector may change some minds. In a speech Mr Mulcair said that his party can deliver its social vision and look after the nation’s finances. The federal government’s retail debt program should be would down according a new report. KPMG says that the program, including the Canadian Savings Bond and Premium Bonds were introduced in a very different era and is no longer a relevant way to invest. Sales of the bonds are low and have been since the 1980s. The report said that if there is a non-financial benefit to a replacement option then that could be considered. Canadians are missing out on benefits for their retirement by not matching employers’ contributions in group RRSP and defined contribution retirement plans. The Globe and Mail reports that the missed benefits are estimated to be around $3 billion a year according to Sun Life’s Tom Reid. He said it’s “kind of critical” to get people to make the maximum contributions.